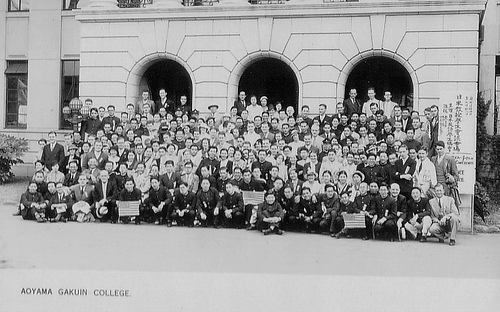 Our history dates back to 1934, when the first Japan-America Student Conference (JASC) organized in response to deteriorating relations between the U.S. and Japan. Students from Japan invited their American counterparts to Tokyo for in-depth discussions about timely issues, working together toward the goals of mutual understanding, friendship, and trust. In the following year, American delegates reciprocated the hospitality by hosting a second meeting in the United States. JASC continued to take place every year until the Second World War. 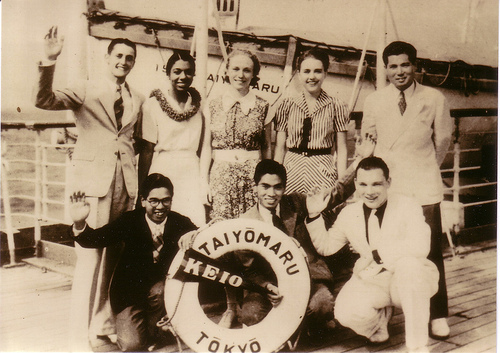 The Conference was revived in 1947 by American and Japanese students then living in Japan. After a second interruption in the mid-1950s, the 16th JASC was held in 1964 in the U.S. and has alternated between the U.S. and Japan every year since. Read more about the history of JASC. In 1979, JASC, Inc. was incorporated as a non-profit organization in Washington, DC, providing continuity and support to students and alumni of the Conference. In 2008, we expanded to become International Student Conferences, Inc. (ISC) and launched the Korea-America Student Conference (KASC). Based on the model of a student-run Conference, KASC has answered the call for closer ties between young people in the U.S. and Korea. Many alumni of the Conferences have gone on to distinguish themselves in business, academia, and government. Most notable among them is Kiichi Miyazawa, the former Prime Minister of Japan, who participated in the 1939 and 1940 Conferences, and Henry Kissinger, the former U.S. Secretary of State, who participated in the 1951 Conference. A partial list of prominent alumni is available upon request. ISC maintains significant amounts of historical information in the form of publications, photographs, travel memorabilia, correspondence, et cetera, archived at the McKeldin Library of the University of Maryland in College Park. The ISC past conferences page also provides information about past conferences, pictures and current news.